It is my great pleasure to invite you to our new SRO Myth Online! Myth Networks Group has been providing private online gaming services since 2005 and has more than 10 years’ experience in organizing social community over the internet. Temple of Jupiter is available. We are currently using high-end dedicated server to host our game. Giving a fast and lag free gaming experience to all players. Come and join us, for registration visits our website today! I hope to see you guys in game. We are giving 100 Silks for the first 100 Players Lv 80+ (avoiding multiaccounts) Just PM [GM]King (Malaysia) Ingame. Also you can vote for the Serverrates & the Fortress War times. Just leave a message down here. FUN / PvP D13 Items, Instant 120, 10k Silk,QueenSro Fun, No Alchemy, Better game play! 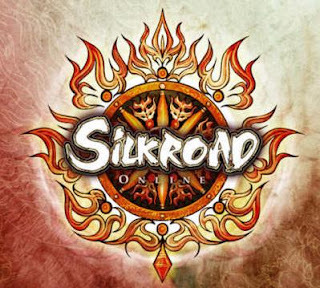 Dragon Silkroad # BR Files# Cap 100 # PvE # CH & EU # Free 10k Silk ! 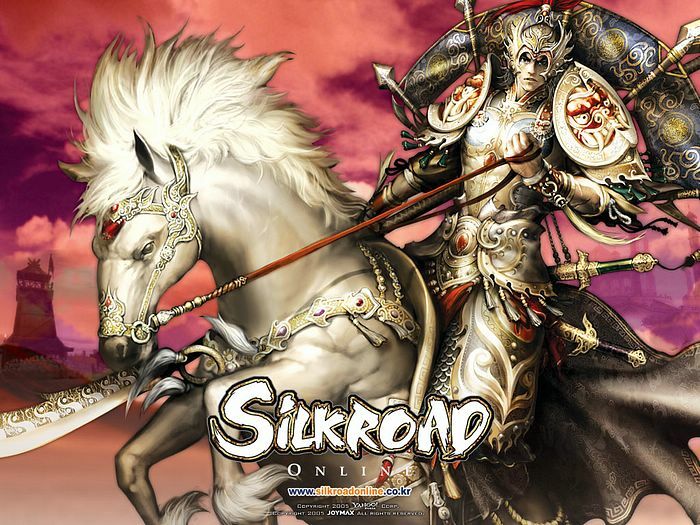 you will be fun in Dragon Silkroad Online..
Free 10K Silk @ Start on char. WebSite ; Click Here !!! WARNING ! Silk Items prices has been changed but don't edited on Client. Well we are back again to give you all a better and best gaming experience of silkroad online..
couz it has many futures which we can update later..
What's special in the server? As you all know most of things are special but there is some more things special like we are going to add new silk reward system example..
Well don't think why this much silk because in Br files Silk prices are bit high..
Well we have edited some last lvl nukers skills.. Welcome back to perfection, the longest lasting PvP server in silkroad history, season two of perfection has been launched, we will welcome back all our players, and we will always stay the #1 silkroad private server! No Guild/Job penalty. You can leave your guild/job any time and then join another guild/job without having to wait. 3x Game Server using 2x Servers on 1Gbit Connection! Full Blue Items +7 with 61% stats can be bought at the Starter Item Shop in Jangan for 1 Gold each(To get the 61% stats you need to teleport). Custom made titles: If you donate total of 150+ Euro, you can get CUSTOM game title! or Game Sponsor Title! if you are already a sponsor or want to get your custom title, please contact [GM]GRANTY in game! You can pick any title you want. We are doing events[Unique, Hide & Seek, PvP] every day. *Note*: We have anti-corrupt measures. Our GM's don't have the /makeitem command, corrupting is impossible on our Server. What about perfection/perfection2/InsaneSRO old donators? Don't worry, all your donations will stay, if you donated for example 10 euro, you will get 10 euro worth of items on this server too! Read our forums for more information, it will take a lot of time to restore all 50,000+ donators items/silk/points! So be patient! What makes this different from the last Perfection and new pvp servers? PVP as a whole - we looked at the current and last PVP systems we had in Perfection and decided we didnt just want to focus on the 1 v 1 aspect. We wanted to explore all forms of pvp the game could potentialy offer and as result made a number of changes to our systems to aid that. Improved job system - Jobbing itself is a huge part of silkroad and can bring alot of fun to the group pvp aspect. We decided to encourage players to use this system by increasing the rates massively so the gold amounts you gain be it thief/hunter/trader will be worth it. Currently jobbing is the main way for a character to make gold on the server and improve his gear. New PVP Gear - We noted form the feedback from alot of players that in our closed Alpha testing that the 120 cap was perhaps a waste and not worthwhile to bring to the Perfection servers. Instead of wasting this resource we have decided to modify the d12 and d13 items into a new form of items. These will be pvp items that a player will be able to earn in various ways with a pvp aspect. The system we are going to use is simmilar to the Aion pvp gear system where you can gain various %s to your defences / attacks. New PVP League Systems - This is perhaps somethign we are most excited about. After some talks we decided that there is no goal for a player who simply gets his character awesome gear and logs on once a day for an hour to pvp the same person over and over again with no end point to it. Our idea is to start pvp leagues very simmilar to how football leagues work. The categorys we have currently are 1v1, 6v6, and Guild v Guild. Players will have the chance to compete in aranged and scheduled pvp matches over a length of time till the PVP season is over. To make this even more exciting we have developed a brand new launcher which has the abbilities to watch live stream content from it. This means those crucial matches you wont miss and you will be able to watch all the major events from it! Pretty neat huh?! Can you use any other client or old clients? No Sorry, you have to 100% download our new client! What about our old accounts? Your old accounts on any of our network servers have been wiped, you have to start a new account, this is a PvP server, so that is okay! But if you donated before, it will be easier to get back to your donation gear! Is donation gear the best? is this a 100% donator only server? No! There is a "PvP Gear / Arena Gear" that you can only get from winning tournments or arenas, and that is going to be the best gear! Where can i find the custom npcs and shops? Jangan, they will be a big dragon bird npc!! Are there any GM/GA/VIP/Sponsor Titles/Spaces? Yes, we are always looking for people to join our team! look on our forums for more information! How can i donate on this server? Go on the website > Login > Donate > instantly get your silk! Any other problems/questions/help, where do i ask? Please download map.pk2 from the download section! Only skills are open! No item changes! Fortress War Registration is now 24/7. Fortress War tax system is now available 24/7. Guilds are now not allowed to keep the fortress for more than 3 week! ~ Keep changing fortress! New items added to the game [Shadow Jaquar, Fire Phoenix, Mountain Bear, Fire/Ice/Light Pet Skills]. New item are now added to the Arena Item Shop! You can buy battle arena coin for 2 silk! Battle arena silk reduced from 4 silk -> 2 silk! Elixers are now stackable to 1000. We would like to know your feedback about our Server. Do you enjoy playing Perfection Online? Do you have any suggestions? What should be changed or added? We are always looking for ways to improve the gameplay.